Osona is framed north by Pre-Pyrenees and north-east by the littoral Cordillera, which is the highest point in Montseny, with Matagalls (1,694 m) summit to highlight Osona. 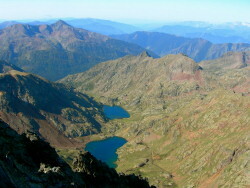 Geographically, the central body of the county is the Vic Plain, north-east of the central depression, which stretches east to the Collsacabra, part of Guilleries, and west and north-west by the Lluçanès. 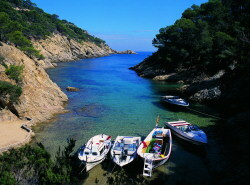 The region is located just 1 hour from Barcelona, Girona, Costa Brava and the Pyrenees. 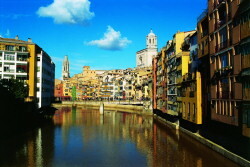 City northeast of Catalonia, is the regional capital of Girona. The Jewish Quarter was from the cultural point of view one of the largest Jewish communities in the West. The capital of Catalonia, home of the 1992 Olympics is a Mediterranean city, modern and attractive culture. 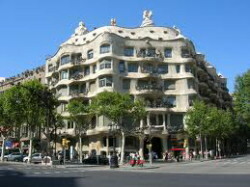 There stands the Sagrada Familia, Casa Batllo and La Pedrera by architect Antonio Gaudi. Is a mountain of Catalonia that has highlighted fairly prominent in the Catalan tradition because, among other reasons, a geology and topography has special own characteristics. It raises the Monastery of Montserrat, a Benedictine abbey dedicated to the Virgin of Montserrat. Girona coast is starting to rock Sa Palomera (Blanes) and ends at the border with France, its length is more than 200 km. Includes three coastal counties: Selva, Baix Empordà and Alt Empordà. Note especially the town of Figueres with the Salvador Dali Museum. Five stations, four Alpine and Nordic skiing, winter sport options up in the Girona Pyrenees. La Molina, Masella, Vall de Nuria Vallter 2000, thanks to the connection between La Molina and Masella offers the largest ski resort in the Pyrenees, with an area of 121 kilometers.